35 years in the game and counting, Stussy has had a huge year full of collaborations, and they haven’t shown any implication of slowing down. 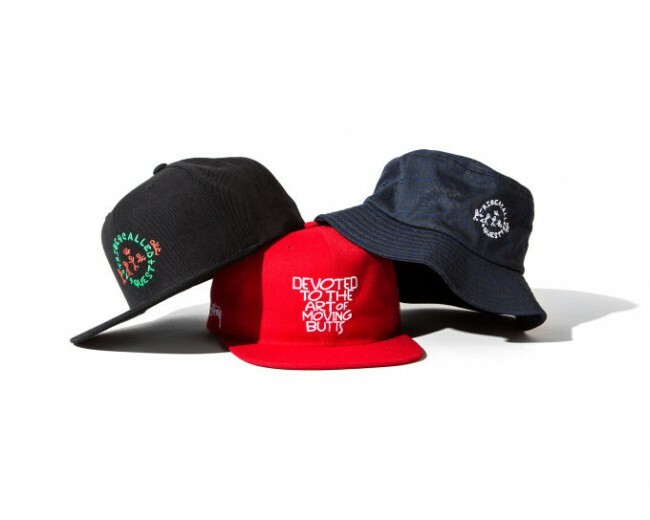 The iconic brand has been calling New York City its home for 25 years, and to celebrate that milestone they have released a collaboration with hip-hop legends A Tribe Called Quest. The collection is two parts in homage to its NYC roots but also to the overall influence ATCQ has had on hip-hop’s art and aesthetics in the 1980s and 1990s that ultimately led to the brand’s own fruition. The collection is dripping with influences from the group’s lyrics, albums and graphics sprawled over headwear, shirts and sweatshirts and is available to the public this Saturday. Hit the jump to peep the whole collection.